The Rockets are struggling from long range in their first-round series and it starts with that open corner three. Hit your open threes. It’s not Rocket science, really. Sure, there were plenty of big problems for the Rockets in Game 3. Most notably, their defense went in the tank as Jeff Teague, Derrick Rose and the Timberwolves attacked the basket relentlessly. The Rockets aren’t getting out in transition. Minnesota went ballistic from long range. 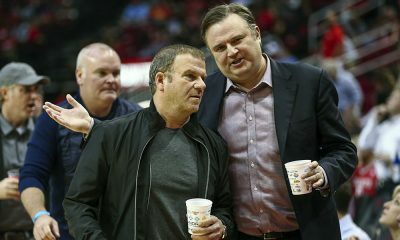 But Houston’s biggest problem? This team just isn’t hitting threes and their world-beating offense isn’t the same as a result. 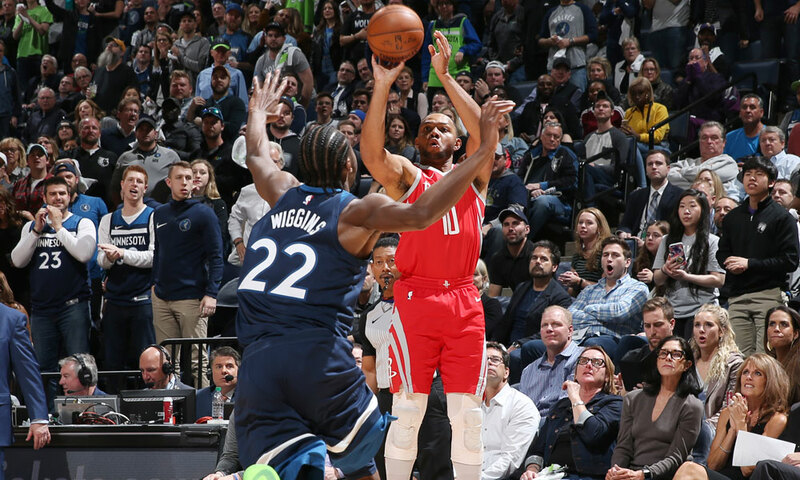 The Rockets dominated the Timberwolves in the regular season because they were so good from three-point range, connecting on 43.7%. Minnesota, a top offense itself, simply can’t hang with Houston’s volume of threes when they’re connecting. But they’re not. 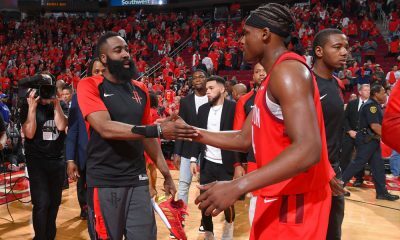 The Rockets are taking the most threes per game in the playoffs by a huge margin, launching 11 more threes per game than second-place Philly, but they’re the worst-shooting team from long range, tied with San Antonio at 31.5%. Since clinching the number one seed, the Rockets are shooting 32% from three. 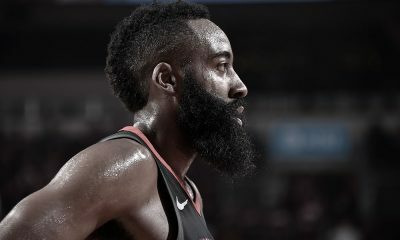 Three guys are really sticking out for their struggles from three in the series: Eric Gordon (23.1%), Trevor Ariza (26.3%) and PJ Tucker (21.4%). Gordon is probably the biggest problem right now — his slump is on both ends of the floor. However, a real impact would be made if Tucker would start to knock down that open corner three. 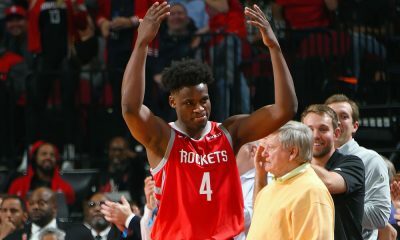 After being inserted into the starting lineup in early February, Tucker was outstanding, hitting 40.5% of his threes while helping to anchor one of the league’s best defenses. That hasn’t been the case in this series. Right now, Taj Gibson is sagging off of him to help patrol the paint on James Harden drives. 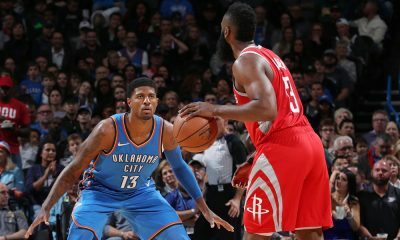 That’s making it more difficult for the Rockets to grab easy paint points — whether it’s Harden layups or lobs to Clint Capela. Watch Tucker in this clip — he is guarded by Gibson in all but one of the plays. Tucker is generally open in the corner, and when the Rockets find him, he’s missing the shot. The popular idea is to play more Ryan Anderson, who was 4-6 from three in his return from an ankle injury. But Tucker is so valuable as a defender. He’s smart, he’s strong and he can really guard any position. If these shots start going down, everything will open up. Everything. The Rockets will find easier lanes to penetrate and the lob game should become easy pickings. The Timberwolves did the same to the Rockets when Gorgui Dieng (of all people) hit an open corner three. The Rockets responded by respecting that shot (too much, in fact) — on the next play, Capela gave so much respect to Dieng that the paint was unprotected and Teague scored easily. And the same applies. If Tucker starts hitting that, Gibson is going to feel uneasy hanging around the paint. It will eventually happen. I’m not worried about the series, but I am worried about their title prospects given how their offense is performing. The Rockets were much, much better than this a month ago and this is the “easiest” defense the Rockets will face in these playoffs. They need to get back on track and quick.